Two New Year's Resolutions To Add To Your List: Get a Mentor. Be a Mentor. 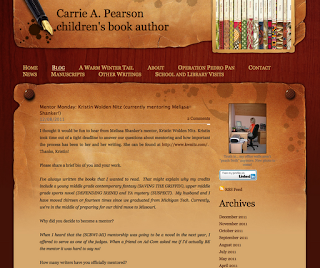 Carrie A. Pearson is a writer who has a wonderful series on her blog, Mentorship Monday. "validated that I had a story worth telling and that she, a gifted author who won the highest honor in the industry, enjoyed reading it. She helped me recognize the value of my words on paper. Could there be a better gift?" And I think Carrie is right. From my own experience being formally mentored by Emma Dryden in the SCBWI Nevada Mentor Program, to the many, many wonderful professionals in our industry who guide and cheer me on me today, being mentored is a turning point. And equally powerful is that moment where you mentor someone else. Someone at an earlier stage in the journey. It's amazing how much you can learn when you try to teach... And I've been very fortunate, especially in my Speaker Visits to schools and libraries over the past year and a half, to do that as well. be a mentor to someone else. Being both a mentee and a mentor will strengthen our own art. And those bonds will strengthen our community. Here's to an amazing (and mentorship-filled) 2012! Symbolism. What do the greats have to say? "I would never consciously place symbolism in my writing. That would be a self-conscious exercise and self-consciousness is defeating to any creative act. Better to let the subconscious do the work for you, and get out of the way." So this 16 year old, Bruce McAllister, back in 1963, sent out 150 mimeographed surveys to famous authors to find out what they thought about symbolism in their work. The amazing thing is that HALF of the authors replied. This article in The Paris Review goes into depth on many of their answers, and it's fascinating reading. Jack Kerouac. Norman Mailer. Ayn Rand. John Updike. Isaac Asimov. I love Asimov's answer to did he plant symbolism in his work? Bruce grew up to become a published author himself and a professor of literature and writing. And yet, this project he did as a teenager still has such power to make us think: How do I handle symbolism? How do you handle symbolism in your writing? And what about in your illustrations? 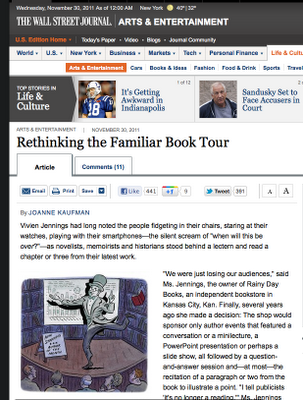 ps- My thanks to Suzanne for the heads-up about this great article! Mark Twain's words are performed by John Lithgow, and the illustrated animations are by NYPL artist in residence Flash Rosenberg. We've even wrapped it for you! 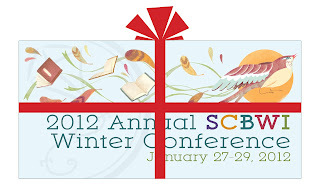 ...and we humbly suggest you consider giving yourself the gift of coming to The Lucky 13th Annual SCBWI Winter Conference in New York City, January 27-29, 2012. It's a gift that will super-charge your illustrating and writing career journey. A gift that will let you dive into intensive - and essential - days on marketing, and in the writers roundtable intensive, a chance to get immediate feedback from agents and editors! 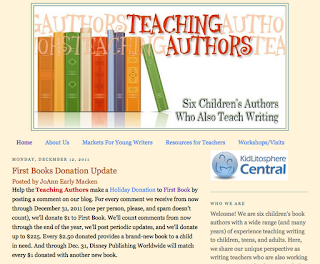 A gift that will educate you about the business of children's publishing from experts at the top of the field. A gift of spending a weekend surrounded by - and knowing that you are a member of - your Children's Literature community. Your (and my) SCBWI tribe. And it is a gift of inspiration that will resonate with you long after you return home. Ginger Knowlton, Agent at Curtis Brown Ltd.
Nancy Paulsen, President and Publisher of her own imprint at Penguin Young Readers Books. 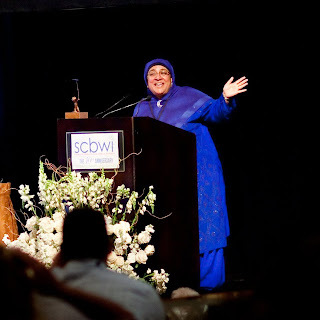 You can check in at The Official SCBWI Conference Blog for more up-to-the-minute pre-conference interviews as the holidays roll into the new year, and to get a taste of past conferences. Registration is open, and you can explore the schedule and full list of faculty and events (like the portfolio showcase and the Gala Dinner) here. We hope to see you in New York! There's an interesting article in the Wall Street Journal about how authors today need to reconceptualize their whole approach to a book tour. To rethink standing there and reading three chapters, and doing a Q&A. That maybe, in the current climate, that's no longer enough. "I tell publicists 'it's no longer a reading,'"
• In lieu of readings, Roxanne Coady, the owner of R.J. Julia Booksellers in Madison, Conn., will sometimes conduct an interview with an author. "Audiences feel they're getting something unusual and intimate, and sales of the book go up," she said. • Brad Meltzer, the best-selling author of thrillers like "The Book of Fate" and "The Book of Lies," stopped doing readings two books ago. "Jim Dale," he said, referring to the voice of the "Harry Potter" audio books, "and all the audio-book stars made most of us authors look like a bunch of misfits. We can't compete." "Being a writer in these times requires a certain degree of professional schizophrenia. In order to write, you need to be able to work in isolation. Yet as soon as you're at all successful at it, people want you to come out and talk about it. So a writer needs to be able to deal with extended periods of solitude, and also with being asked to stand in front of crowds and speak. But in the end, it's all about communication, and that is, at heart, what we need to be: communicators. I think writers can reap great benefits from learning storytelling, from taking acting lessons, from getting voice training - all things that give you tools that will help you be effective in presenting your work to a live audience." What's your take? When have a book event, how do you approach it? 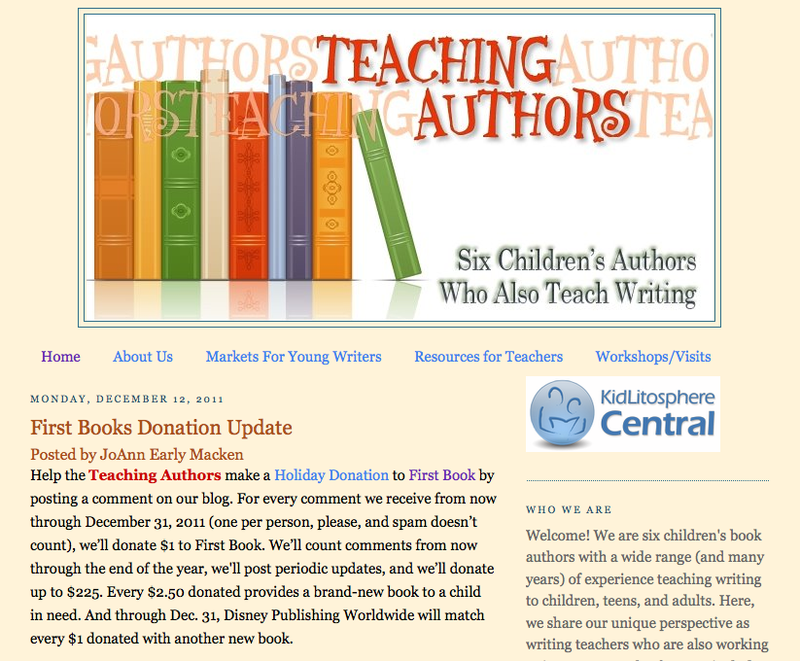 The six Kid Lit authors behind the Teaching Authors Blog came up with a neat idea. For every comment on their blog in December, they'll donate $1 to First Book, an organization that gets books into the hands of needy kids. For every comment we receive on our blog this month (one per person, please), we’ll donate $1 to First Book. We’ll keep track of comments from now until the end of the year, we'll post periodic updates, and we’ll donate up to $225. Every $2.50 donated provides a brand-new book to a child in need. And through Dec. 31, Disney Publishing Worldwide will match every $1 donated with another new book. Very cool. There's a lot the rest of us can learn from what April Halprin Wayland, Carmela Martino, Esther Hershenhorn, Jeanne Marie Grunwell Ford, JoAnn Early Macken and Mary Ann Rodman have cooked up. Undertaking projects to help others like this one is part of the answer. Be part of the larger conversation about literacy, children's books, and the things that you're passionate about, and make it broader than "I have a book I hope you buy." The focus of The Teaching Author's project isn't THEIR books - it's about engaging their blog readers to team up with them to do something good. They're also promoting a literacy organization they believe in. And they've got a tie-in with Disney publishing... They're giving back. As I've mentioned before, I think you get a lot from giving. It feels great to make an impact for the better in our world. A single book has the power to change lives. And yes, I am sure their Teaching Authors blog will get more traffic. And the attention they'll get (including this blog post) will also increase the profile of all six of them, and their books. Without them having to come out and say, "I have a book I hope you buy." So go comment, and think about how you can broaden the conversations you're having to be someone not only known for illustrating and writing, but for doing good... And it will be good for you, too. • For writers, check out best-selling author, SCBWI board member and Regional Advisor for Nevada Ellen Hopkins' advice for writers online. It's like having a sage mentor sit down with you and lay it out about writing, writing poetry, craft, publishing and agents. Ellen's a marvel, and it's well worth reading. "Book lovers who purchase their e-books from independent booksellers online now have their own device-based reading application – The IndieBound Reader..."
• Do e-books burn? Not sure about that, but I am excited to learn that "Fahrenheit 451" by the remarkable Ray Bradbury has been released as an e-book. • More titles, more pages, more roundups... here's an interesting article about how the New York Times is changing its approach to covering and reviewing Children's books under Pamela Paul (their fifth Children's Books Editor). • Neil Gaiman shares a cautionary tale about an author whose novel's audiobook didn't achieve what it might have. It's interesting to note that the remarkable children's book author Bruce Coville also runs an audio book business, Full Cast Audio. Famous authors helping other authors get great audio books of their novels? That's pretty fascinating. 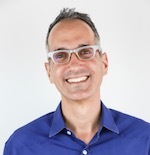 "the acquisition creates the foundation for Amazon Publishing to further expand into picture books, chapter books and YA novels." • For a great font of inspiration for both illustrators and writers, sign up for Booklist's Quick Tips newsletter, put out by the American Library Association. 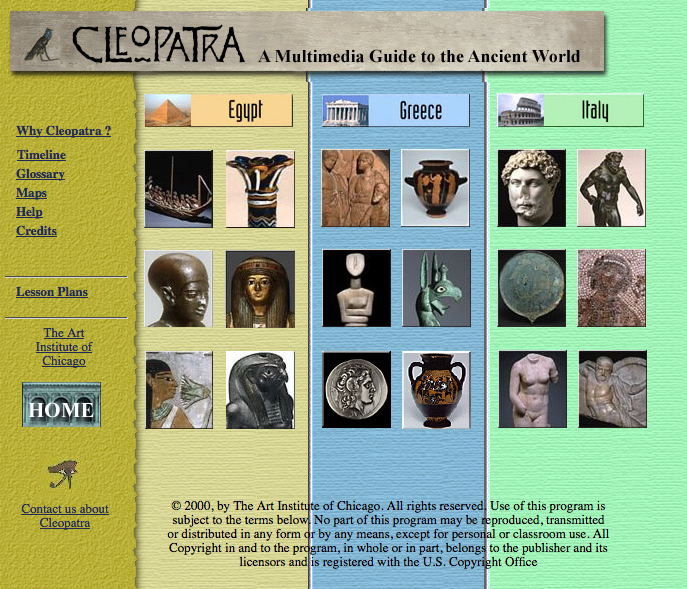 In their latest issue, just one section highlighted six different virtual field trips you can take to world class museums around the USA. 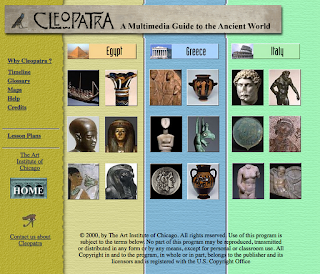 Did you know The Art Institute of Chicago had among their online offerings "Cleopatra: A Multimedia Guide to Ancient Art," with fully bilingual English and Spanish text, video clips, time lines, and lesson plans for grades 4–12 in five subject areas? While the newsletter's focus may be on teachers and librarians, there's lots of great information here for those of us who create children's and teen literature. • It's the holidays, and sometimes, the best gifts are the ones you give. Here in Los Angeles, our local SCBWI chapter joined in an industry-wide Kid Lit Drink Night Holiday Party this past weekend, with librarians, illustrators, agents and writers from all over Southern California joining in. Everyone brought books to donate to two needy Los Angeles schools - The Knox Elementary School in South Central Los Angeles (which has a library but no librarian and no new books) and the 29 classroom Continuation High School of our Los Angeles public school district (for at-risk youth, with no centralized library and just shelves of books in each classroom that the teachers provide.) We collected 5 boxes of picture books through middle grade titles for the elementary school kids and three overflowing bags of YA titles for the students in the Continuation High School. Seeing how excited Ms. Ward, the Principal of Knox Elementary, was at receiving the books for her students made me feel like I was the one who got the gift. 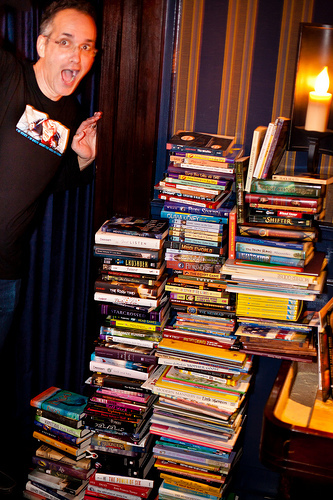 Me being silly with the giant piles of donated books! 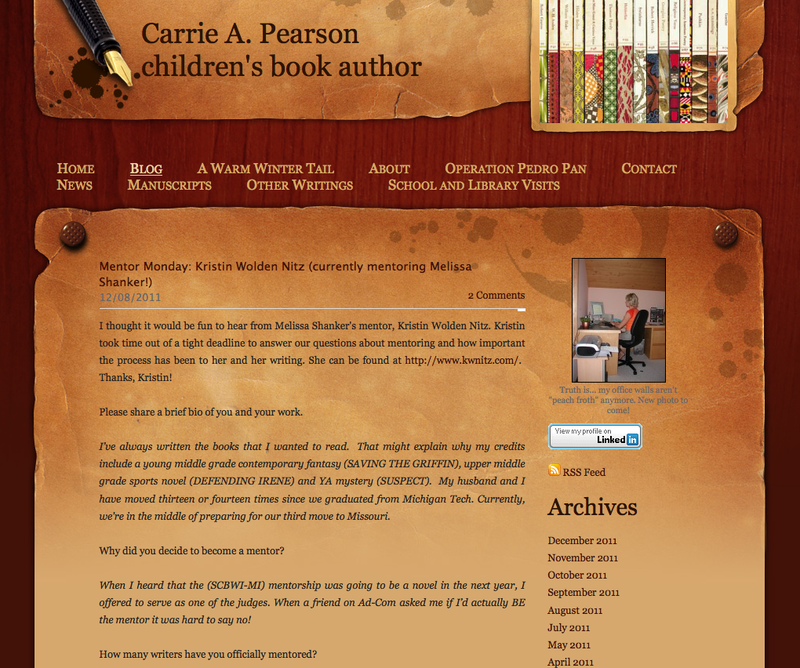 Our SCBWI and Kid Lit community, reaching out to our larger community? That's an awesome thing. ps - The book pile photo is by Rita Crayon Huang. The MeeGenius contest - have you voted for your favorite text for a children's e-book? In yet another example of innovative ways to "break in" to Children's Publishing, specifically e-books for children, check out the MeeGenius Author Challenge 2011! The chance to enter a story has passed for this year, and now it's time to vote for your favorites (from now until December 18, 2011.) And every vote counts, as the number one book as of writing this post ("The Treehouse in Your Sock Drawer" by Nicholas Wilmoth) is ahead by only 119 votes. Here's details on how the contest works. Kudos to Heather Harris-Brady, a SCBWI member in Michigan, USA, who contacted me and asked if I could let our readers know about the contest, because there might be other SCBWI members hoping for people to read, love and vote for their stories as well. That's how to appropriately self-promote and use all these social media tools. And that's why I chose Heather's story, "The Berry Jam," for the screen shot above. Oh, and that link to her story. And if you've got a story in the running, add a link to your story's MeeGenius page here in comments. Good luck to our SCBWI competitors! 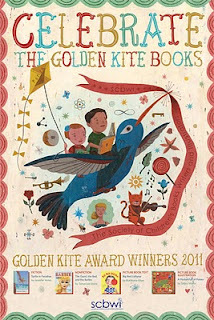 Will Your Book Be Considered For the 2012 Golden Kite Award? Being a member of SCBWI makes you eligible for the Golden Kite Awards. Presented by the Society of Children’s Book Writers & Illustrators the Golden Kite Awards, given annually to recognize excellence in children’s literature, grant cash prizes of $2,500 to author and illustrator winners in four categories: Fiction, Nonfiction, Picture Book Text, and Picture Book Illustration. Authors and illustrators will also receive an expense-paid trip to Los Angeles to attend the award ceremony at the Golden Kite Luncheon at SCBWI’s Summer Conference in August and a lifetime membership in SCBWI. A commemorative poster with the winners will be created and distributed to, among others, various schools, libraries and publishers. In addition to the four Golden Kite Award winners, four honor book recipients will also be named by the panel of judges which consists of children’s book writers and illustrators. Instituted in 1973, the Golden Kite Awards are the only children’s literary award judged by a jury of peers. More than 1,000 books are entered each year. Eligible books must be written or illustrated by SCBWI members, and submitted either by publishers or individuals. How can you make sure your book is a contender for the 2012 Golden Kite Awards? 1. Go to www.scbwi.org and click on awards to familiarize yourself with the guidelines for the Golden Kite Awards. 2. Make sure that your SCBWI membership is current! Only current members of SCBWI are elligible for the Golden Kite Awards. Not sure when your membership expires? Log in at SCBWI.org and click on "Membership Renewal." Your member expiration date will be shown at the top of that page. 3. Log in at scbwi.org and update your publication information! Click on "Manage Profile" and be sure to enter the name and publication date of your most recent book. Then, choose your publisher from one of the drop-down menus. If you have any trouble updating your profile, feel free to call the SCBWI offices at 323-782-1010 during business hours (9 AM - 5:30 PM, Pacific, Monday - Friday) and someone will be happy to assist you. 4. Check with your publisher to see if they've sent us your book. Most publishers have their publicity departments handle awards submissions, but a quick email to your editor to make sure that someone is submitting your book for the Golden Kite Award is a good idea. 5. If you're an individual submitting your own book, be sure to follow the guidelines for individual submissions carefully. for the book you illustrated and/or wrote? Make sure your book is considered for a Golden Kite Award! 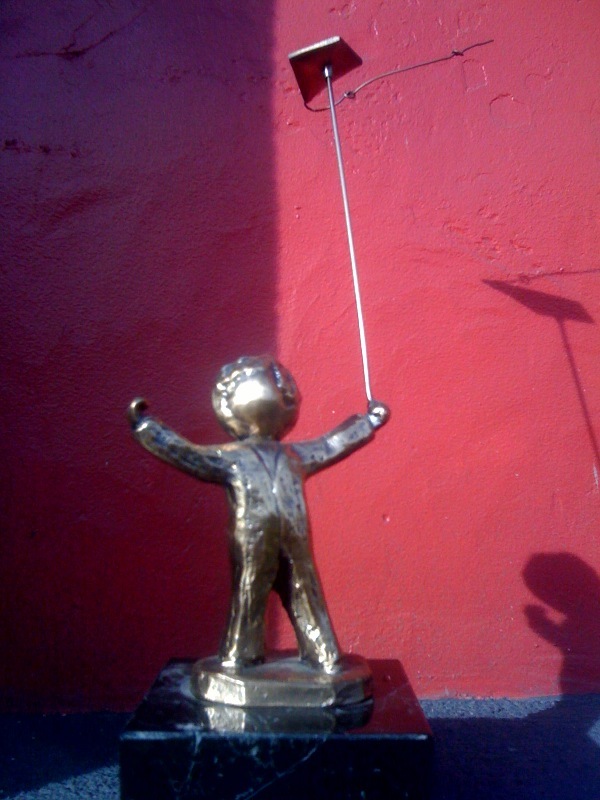 credits: The Golden Kite statuette photo is by Stephen Mooser. The photo of Rukhsana Khan accepting her Golden Kite award is by Rita Crayon Huang. The Golden Kite Poster was designed by John Parra. The Golden Kite seal was designed by Don Freeman.